Sound binding, but has suffered slight warping. No dustjacket. Interior contents clean and bright. Large Print edition. When Joe Davitch first saw Rebecca, it was at a party at the Davitch home -- a crumbling 19th century row house in Baltimore where giving parties was the family business. Young Rebecca appeared to Joe as the girl having more fun than anyone in the room and he wanted some of that happiness to spill over onto him, a 33-year-old divorcee with three little girls. Swept away, Rebecca soon found herself mistress of "The Open Arms", embracing not only just this large spirited man and his extended family but expertly hosting endless parties in the ornate, high-ceilinged rooms where people paid to have their family celebrations in style. But now, years after she has lost her husband in an automobile accident, Beck (as she is known to the Davitch clan) asks herself whether she has turned into the wrong person. Is she really this natural-born celebrator, joyous and outgoing? Can she always be there for Poppy, her almost 100-year-old uncle-in-law who lives on the top floor, for stepdaughters -- Biddy and NoNo and Patch and the husbands, as they come and go, and their children -- and for her own daughter MinFoo, about to marry a stockbroker? Can one really recover the person one has left behind? 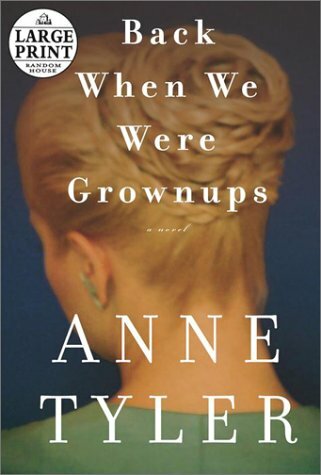 With perfect pitch Anne Tyler explores these questions of love and loss, of identity and of family, making us both laugh and cry in a novel that we wish would never end.